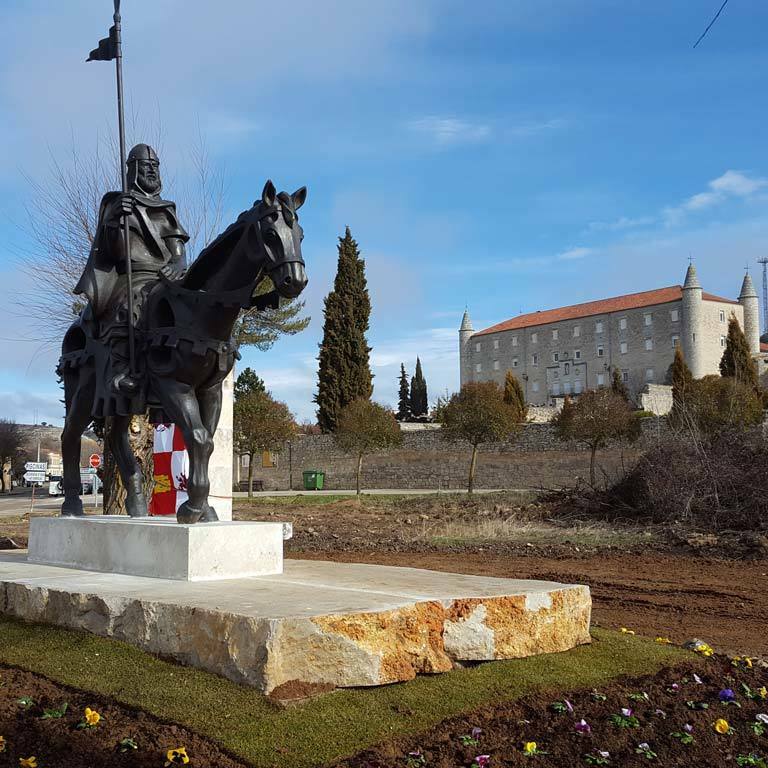 200 meters long from the Tower of Los Guzmanes, in Cava Abajo street, in the Cid's park, is the equestrian statue of El Cid, by sculptor Ángel Gil Cuevas. 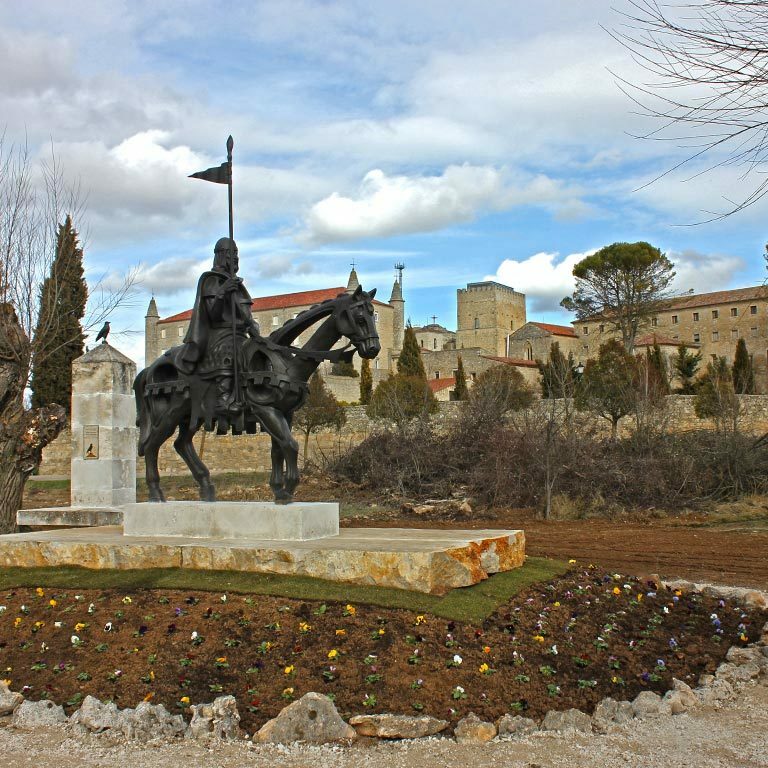 The bronze sculpture is three meters long. 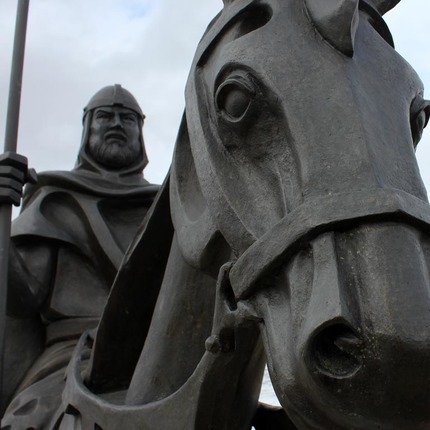 El Cid, with his left hand on the bridle, guides Babieca southward; while his right hand holds up his banner. 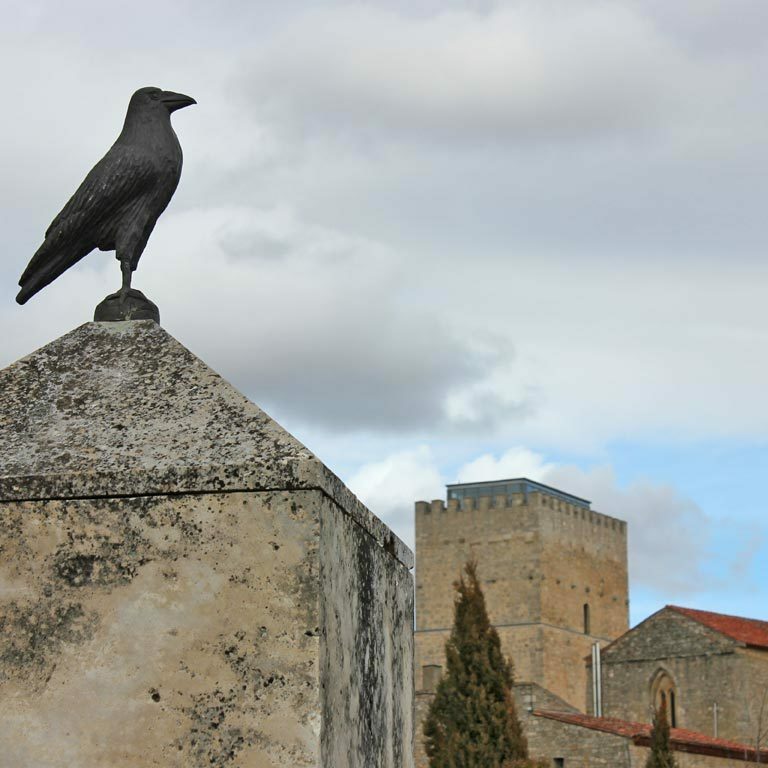 Next to the statue is a small monolith in which a crow sits. 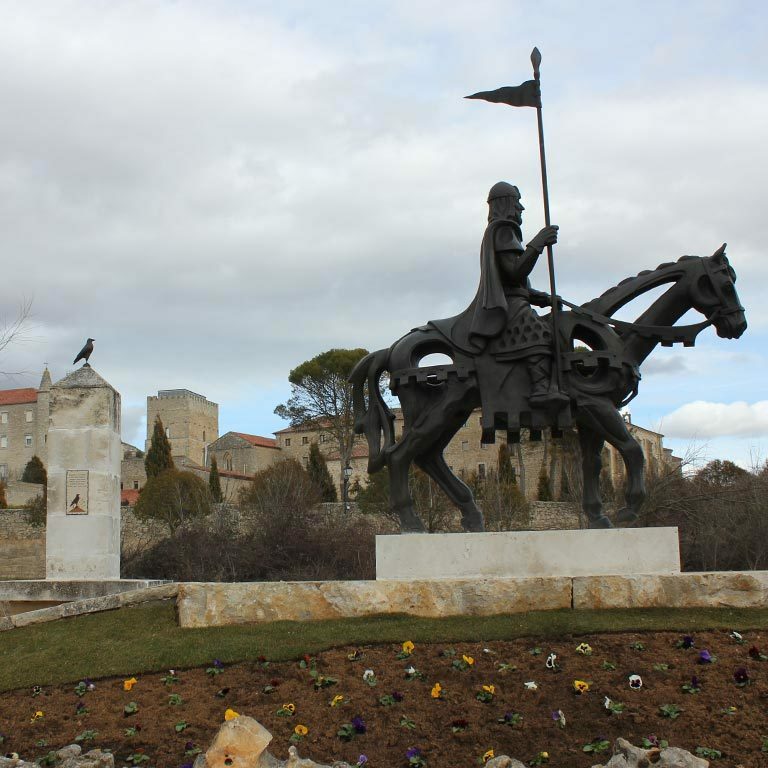 The crow has a very special role in the Song of my Cid: in the Middle Ages it was customary to read the future in the flight of some birds; in the poem, El Cid, on leaving Vivar, saw in its flight a harbinger of good luck, presaging that at the end of his hazardous journey he would achieve great success. 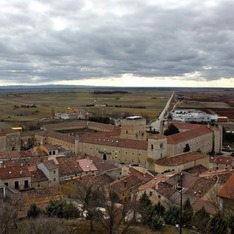 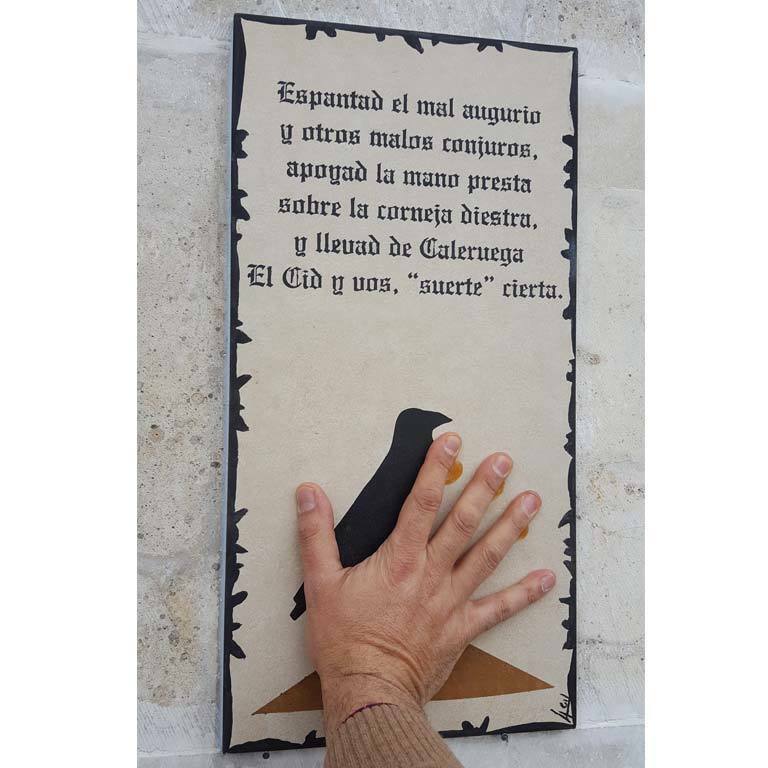 The crow is the symbol of good luck in the Camino del Cid, and that is why many travelers come here to lay their hand on a tile with the image of the crow, where it can be read: "Scare the bad omen and other bad spells, support the hand lends on the right crow and carry with you good luck from Caleruega".